Microsoft is now allowing the Hololens community to share their ideas for Microsoft’s augmented reality device. According Microsoft, “the community is bursting with spectacular ideas for how holographic computing will transform our world” Microsoft believes the most incredible HoloLens apps will come out of ideas the community imagines together. People will be able to share their ideas through January 11th, 2016. During this time, Microsoft will guide users through development aspects, identifying which concepts would best leverage. 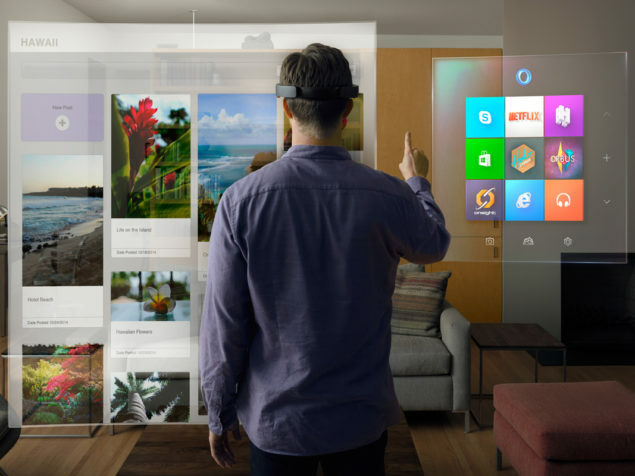 HoloLens capabilities and be great use cases, and sharing with you how you could build them. Your ideas can grow and evolve based on feedback from the team and from the community. Microsoft writes that the three most viable ideas will be put up for vote on Twitter. Users can now share their ideas right here. The community has already submitted several ideas as of today, including a ‘Water my plant’ app, and a virtual pet app. The ideas can be seen here. Yesterday we reported how Microsoft Israel allegedly fired 60 engineers working on the Hololens project. According Israeli website Ynet, Microsoft will now be getting different technology out of the US. Unlike its competitors, Microsoft’s HoloLens currently makes use of Augmented Reality (AR). The device is the first holographic computer running Windows 10. “It is completely untethered–no wires, phones, or connection to a PC needed. Microsoft HoloLens allows consumers to place holograms in a physical environment and provides a new way to see the world”, according the HoloLens website. No official release date for Microsoft’s device has been set, but the Hololens is expected to be released for developers by mid-2016.